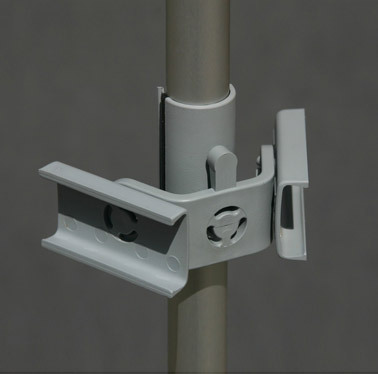 Use FLEX-clips for attaching the banner mounted on Horizontal Bars to the Vertical Pole. FLEX-clips are especially handy for attaching wide or tall banners to the system. We are also introducing protection tubes for Flex-Display™ clips so they can "travel safely" when kept in the bag. Use double Grip-Clips when installing a double-sided banner display. Double Grip-Clips are clipped on at the "back" of the Grip-Clips or FLEX-clips in order to attach the second banner mounted on Horizontal Bars. For displays taller than 3m.